Please note: this is a two day event. 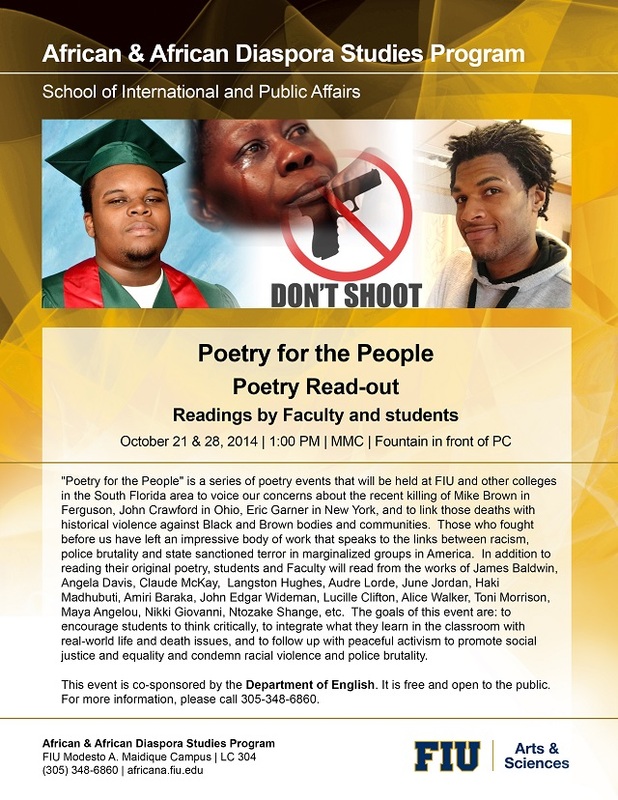 There will also be a Poetry read-out on Tuesday, October 28, 2014 at 1:00 PM in the fountain in front of Primera Casa on MMC. Please click here for more information.